It’s 1965, and a little girl is hiding behind a door. It’s recess, and the other children are jumping rope, playing tag, and laughing as children ought to be at that age, no care in the world. But not the girl, sandwiched between the brick building and the metal door to the classroom. She’s sweating, counting down the minutes until she can once again sit at the back of the class, avoiding being called on. Hoping she won’t be seen. While some of you have only lately been introduced to your capacity for anxiety: the sudden, rapid pulse, the racing thoughts, the inability to sit still, the abrupt startle awakening you at night, the debilitating tension throughout the day…for most of you, this is a nearly lifelong condition. Traditional psychotherapy attempts to give simplistic reasons for this. A dysfunctional home or unfortunate preschool experience, leading to a belief about the world, usually as an unsafe place. Once this is successfully countered, your anxiety should go away. I wish it were as simple as that. However, even for the clients for whom that worked temporarily, their anxiety crept back, like a weed, in some other form, to curl once again around their gut, their throat. And for the past 20 years, these clients and I journey towards calm by a different route. Try something for me. Stand up, slooowly, making yourself as tall as you can. Let yourself notice how your body alerts to the shift. Did you feel increased activity, energy, even anxiety? This is what our body wants to do when it suspects a lion’s about to jump out of the bushes, but we’re not sure. We want to see, we want to engage our ability to fight the beast, or flee from it. This is the moment we hold our breath, completely focused on the present, on the next ‘tell’ indicating whether the threat is real. In the case of those of my clients crippled by symptoms of anxiety, we may instead want to curl up into a little ball, freeze, hopelessly awaiting the lion’s attack and anesthetizing ourselves to the imminent pain. And for many with chronic anxiety, the lion is ALWAYS about to attack. Even in the middle of the night. 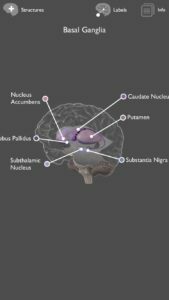 In the last few decades, the neurology of anxiety has received much attention, including by the National Institute of Mental Health (NIMH). 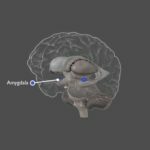 We now know there are multiple areas of the brain, including the basal ganglia, anterior cingulate, and amygdala, that control our experience of fear, obsessive-compulsive thoughts and behavior, and shyness (AKA social anxiety)…the very same parts of the brain that kept that girl behind the door, and later on, behind multiple masks she wore to pretend she was comfortable in front of others (although, as it turned out, the “fake-it-till-you-make-it” strategy translated into a partially effective treatment). That a significant factor is if either parent also had anxiety (both of hers did). 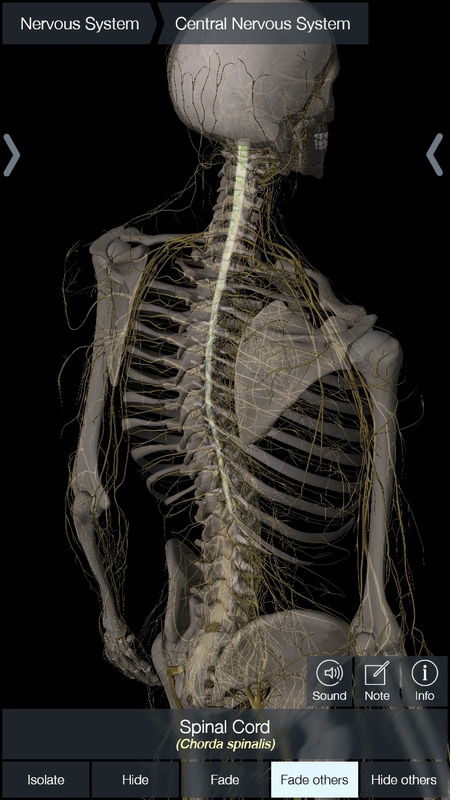 That not only the brain, but the autonomic nervous system in the spinal cord also regulates when we’re happily digesting and resting, simply enjoying the company of others and of our selves (the parasympathetic nervous system/PNS) and when we’re engaged in fight or flight (the sympathetic/SNS). What is healthy? Ideally, we’d be spending the majority of our time, and particularly of our sleep, in the healing PNS, and, other than a low-level alertness to the possibility of threat, only enough time in the SNS to deal with real, current threat as is needed to resolve it. Think actual lions, or sudden imminent deadlines, or seeing your child start to topple off the counter. In fact, a temporary heightening of our stress level is actually a good thing. It makes us sharper cognitively, and lighter on our feet. If that fits you, I’m so happy for you! Your relative calmness is a gift not only to yourself, but to the community around you. Your reasoning is solid, and you don’t have a tendency to being reactive. However, most of us don’t fit this mold. We either underreact to real threat, going into freeze or missing the signs altogether, or overreact, perceiving actions and sensory stimuli (visual, auditory, olfactory…) as threatening simply because they resemble stimuli that are associated with painful situations that may have occurred years earlier. Imagine if you will someone who was mugged from behind on a lonely sidewalk years ago. The threat is long past, but that person even today may find that when they hear footsteps behind them, regardless of where they are or who’s around them., they begin to hyperventilate, feel the urge to run, feel cold and clammy, as their heart races in their chest. And regardless of what they tell themselves cognitively, their body continues to prep for danger until the unwary pedestrian behind them passes by. See, anxiety is not a choice. It’s not a characterological weakness. It’s a kink in your biological software. Sadly, the mood-as-a-choice crowd has been growing in the last decade or two, which complicates the matter, making it worse. Because now, not only do you stutter in a crowd, have difficulty making eye contact, or find your obsessive thoughts getting in the way of rational decision-making, but you understand these to be signs of failure on your part. The shame, then, of being incompetent, unfriendly and untrustworthy, stupid, and my favorite absurdity, “attention-seeking,” makes it almost impossible for you to simply work with your physical self to heal it, because even admitting your anxiety is embarrassing. Once you can get past your shame however, and simply allow yourself with guidance to gently, compassionately step into your anxious body, you have the power to bring flow to the log-jam of chronic anxiety. What will work for you is special, even unique, so if you tried that yin yoga and it didn’t help, try pole-dancing instead! Meditation works great, but for you, maybe don’t sit. Walk instead. A host of complementary care practitioners are digging in to specific work with anxiety, from acupuncturists and chiropractors to personal trainers. And of course, most of my interventions are all about bringing life to the body in such a way that your specific gifts can be tapped. Strengthening your sense of community, enhancing your spiritual practices, even the judicious use of appropriately prescribed medication as a stop-gap measure. All can be a part of your wheel-house. And don’t fool yourself for a minute that I don’t understand. That little girl was me.